Lithuanian Defense Minister Raimundas Karoblis said that the country will continue to support Kiev in strengthening its defense capabilities at a recent meeting with Ukraine's President Petro Poroshenko, the Lithuanian Defense Ministry said Thursday in a statement. On Wednesday, the Lithuanian defense minister met with Poroshenko, who expressed his gratitude to Lithuania for providing assistance in implementing a defense reform in Ukraine. "Lithuania will continue to provide across-the-board assistance to Ukraine in strengthening its defense capabilities. Defending its territory and independence, Ukraine defends the unity and democracy of the West," Karoblis said as quoted in the statement. The Lithuanian Defense Ministry also pointed out that the Baltic state was one of the major supporters of Ukraine's military, as Vilnius assisted Kiev in modernizing its armed forces to bring them closer to NATO standards. 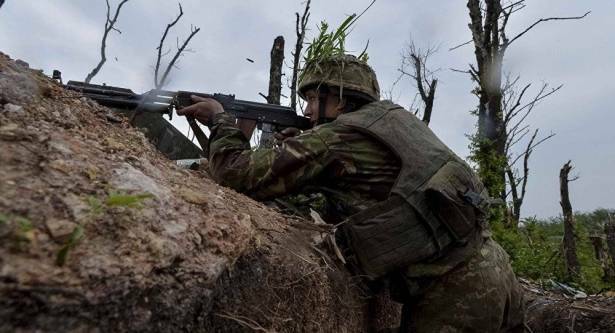 On Wednesday, Ukrainian Defense Minister Stepan Poltorak said that Ukraine was willing to receive assistance from its partners in the form of weapons, with only Lithuania providing arms to Kiev so far. In January, the Ukrinform news agency reported that Ukraine had received 146 units of lethal weapons from Lithuania in 2016. In particular, Vilnius has shipped 60 KPV-14.5 (Krupnokaliberniy Pulemyot Vladimirova) heavy machine guns and 86 DShK (Degtyaryov-Shpagin Large-Calibre) machine guns. Russian and European officials have repeatedly argued that lethal weapons supply to Ukraine will induce exacerbation of the conflict in the country's east.